United States Special Representative for Ukraine Negotiations Kurt Volker denies the possibility of turning the situation in the Donbas into a longstanding conflict. He said this during a briefing at the State Department, reports Voice of America. "The international community does not want another Cyprus, I do not know how many years there are peacekeepers in Cyprus. I do not think that Ukraine wants it. Ukraine wants to restore sovereignty in its own territory and therefore has incentives to implement Minsk agreement, "Volker said. According to him, it is the implementation of the political aspects of Minsk agreement that Russians demand during the talks. "It is important for Russians to see political steps from Ukraine within the framework of the Minsk process. For example, the fact that Ukraine resumed the law on special status on October 6 is an important political step from Ukraine, which testified that it observes the introduction of a special status when it is possible. At the next meeting, they will put forward something else, but that was what they wanted, "Volker said. At the same time, the special envoy believes that Russia has two options for action in the Donbas: create a frozen conflict, as in Abkhazia, South Ossetia or Transnistria. Or to withdraw their forces and contribute to the deployment of UN peacekeepers, which will bring peace to all and allow progress in the implementation of Minsk process. 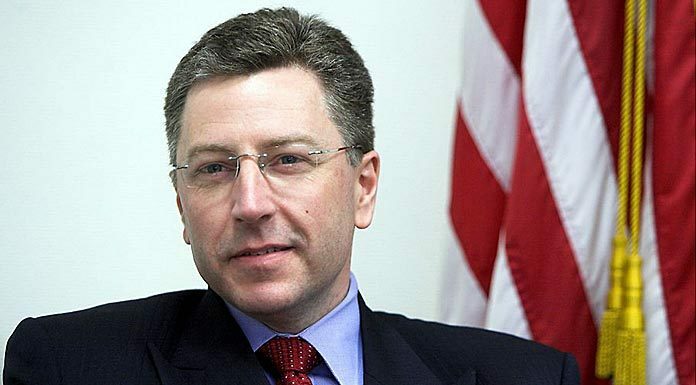 As it was reported earlier US Special Representative for Ukraine Kurt Volker and Counselor of the president of Russia Vladislav Surkov are to meet in Belgrade, Serbia on November 13. The parties are to discuss deployment of UN peacekeepers to Donbas. In September, the two officials discussed Russia’s suggestion of the mission, but it was dismissed by Ukraine and the U.S., as it proposed to deploy the peacekeepers only on the conflict line. Ukraine and the U.S. say that the mission must be present all over the conflict zone to ensure sustainable peace.